Travel sizes are convenient, portable and affordable! 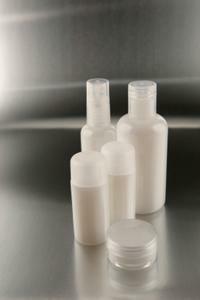 If you're in search of a bath gel and lotion gift set, travel size bottles are a great choice. They come in handy if you're traveling or if you simply want to sample a new scent before paying full price for larger size products. Of course, they also make great presents for friends and loved ones! A scented shower gel or body lotion is a true treat for any beauty product aficionado. Females young and old tend to adore them as gifts, both for giving and receiving. Travel size bottles are especially popular and are widely available everywhere from specialty bath stores to department stores. Perhaps best of all, they're easy on the wallet! If you're on the hunt for some great sets, you won't have much trouble. Take a peek at some of the stores where bath gel and lotion gift set travel size products are available. Bath and Body Works: Of course, no list would be complete without a mention of this haven for body product junkies. Loaded with travel size products galore, Bath and Body Works offers something for even the most picky scent aficionados. From sweets and florals to greens and musks, there are products to suit anyone's tastes. Gift sets are readily available, but if you'd like to mix and match scents, head to the travel product kiosk and grab bottles of various items in different scents. Use it as an opportunity to create your own personalized gift set. Bliss: Pricy but decadent, Bliss brings a relaxing, spa-like touch to its products. This means that the body moisturizers are richer, the gels are frothier and the gifts are simply a cut above the rest. With travel sizes available prepackaged and ready to gift, there's no denying the appeal of this playful brand. The Body Shop: Another great one-stop-shop for your bathing needs is The Body Shop. Though the scent selection is slightly less diverse than what is available at Bath and Body Works, there are still numerous choices available. Gift sets are cleverly packaged, too! For example, the White Musk Temptations kit contains a bath gel, body lotion and perfume spray in a charming little purple clutch, and the Cranberry Yuletide Indulgence set is loaded with goodies and packed in a reusable canvas tray. Ideal for those who are hard to shop for, The Body Shop offers a unique twist on traditional bath gifts. L'Occitane: It's incredibly easy to put together a great bath and body set at L'Occitane. Offering a wide range of products in convenient travel sizes, the company even throws in a free travel pouch from time to time with an online purchase of three of these items. Choose the shower gel and complementary body lotion of your choice, or go crazy and tuck a few different scents into a bag for the ultimate gift. It's a great way to sample a variety of the famous French brand's offerings - without blowing too much cash. Target: Whether you shop online or in store, you're bound to find a strong selection of bath and body gift sets here. Target offers a variety of brands, many of which are unavailable anywhere else. For those with a penchant for all things natural, take a peek at Burt's Bees gift sets. Those who take a high-flying approach to their beauty routines may be intrigued by the selection of brands from England, including Boots Mediterranean and The Sanctuary. Prepackaged and ready to slip into a chic gift bag, these items are loaded with bath and body products. In addition to the convenience factor, travel sizes are more important than ever now. Transportation Security Administration (TSA) rules dictate that liquid toiletries must be three ounces or less and packaged in clear zip-top bags. Travel size bath gels and body lotions make life so much simpler when traveling. Travel size products are also ideal if you aren't quite sure that your intended gift recipient will love the scent you're giving. Fragrances are such personal things that it's usually best to give them only to people you know very well, but if you're taking a chance you'll feel more comfortable giving smaller bottles in a variety of scents.